Nordstrom’s board has flatly rejected an $8.4 billion bid from its namesake family to take the department store chain private. The move puts the company’s board at odds with not only the retailer’s founding family but also with many of its current executives. 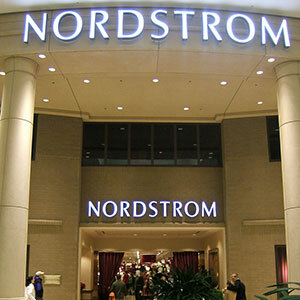 Included in the group are copresidents Blake W. Nordstrom, Peter E. Nordstrom, and Erik B. Nordstrom, as well as president of stores James F. Nordstrom Jr. The family consortium submitted an offer to buy all outstanding shares of common stock of the share for $50 in cash. The group already owns approximately 31 percent of the company’s shares. The $50-a-share price represents a premium of 24 percent over the retailer’s June 7 share price, right before the family group announced that it wanted to take the department store private. That is, however, less than the Seattle-based company’s current stock price, which was $52 on March 5. A letter accompanying the family’s proposal, submitted to the Securities and Exchange Commission, said that the group felt the department store chain would do better outside the glare of the public markets. The proposed transaction would be financed in part by the family’s stock holdings and in part by Leonard Green & Partners, the private equity firm. The 117-year-old retailer has been a public company since 1971.